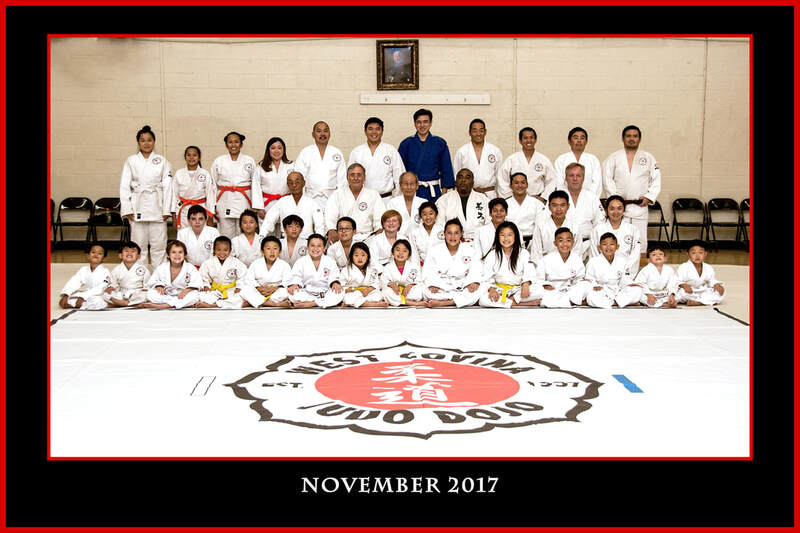 Welcome to the official website of West Covina Judo Dojo! Proud members of NANKA, USJF, and USA Judo. Practice is held in the Dojo at the Center's Gym on Tuesday, 7:00pm to 9:00pm and Friday, 7:00pm to 9:30pm. Please feel free to stop by and watch. We look forward to meeting you! Our mission is to, "teach Kodokan Judo and develop Judokas to be champions on the mat as well in life." The purpose and aim of the Dojo is to introduce Judo (Kodokan Judo) to the public and seek a broader knowledge and deeper understanding of this Japanese Art and Olympic Sport. Teaching the life values of Judo and creating a spirit of sportsmanship, character building, promoting good citizenship, thus bringing about a better understanding among our fellow men and women, are the main goals of the Dojo. The Judo program we conduct is technically Kodokan Judo. The originator of modern sport Judo is Dr. Jigoro Kano who formulated sport Judo from the techniques of the feudal art of Jujitsu over 90 years ago. Judo's popularity has spread exponentially throughout the world and has been an Olympic Sport for many years. Aside from the Nanka sponsored area tournaments, Junior, High School, Collegiate, Senior and Masters National Judo Championships are held annually. Judo is also included in the Infantile and Adult Pan-American Games, the Collegiate World Judo Championship, the World Judo Championships (yearly, except for Olympic years), and in the Olympics. Recently, Judo has been included in the Paralympics and in the International Blind Sports Federation's (IBSA) Championships. The seven official Kodokan Judo Katas are an essential aspect of Judo training and are included in competitions. There is a monthly tuition fee and annual membership fees (Nanka and ESGVJCC) which are payable in advance and non-refundable. Tuition: $90.00 quarterly fee, due January, April, July, and October. Each additional immediate family members are $60.00 each per quarter. Fees: $75.00 annual family membership/$50.00 individual membership to ESGVJCC (pro-rated based on month of sign-up. The Center fee is renewed annually in January for all members at the full rate). $70.00 annual membership/insurance fee to Nanka/USJF, per individual. $50.00 to $80.00 for a Judo gi (depending on brand, size and color). West Covina Judo Dojo, a non-profit organization (IRS 501(c)3) licensed by the State of California, is a member of the Nanka Judo Yudanshakai (Southern California Judo Black Belt Association, www.NankaJudo.com), United States Judo Federation (USJF, www.USJF.com), and USA Judo www.TeamUSA.org and operates under the direction of these organizations.